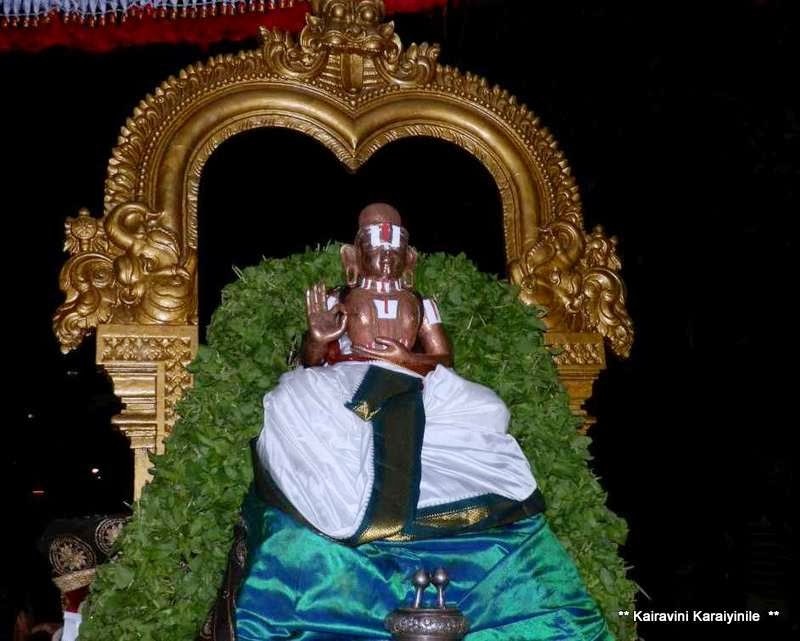 During Pagal Pathu – the Muthalayiram and Thirumozhi are rendered in the day time…. 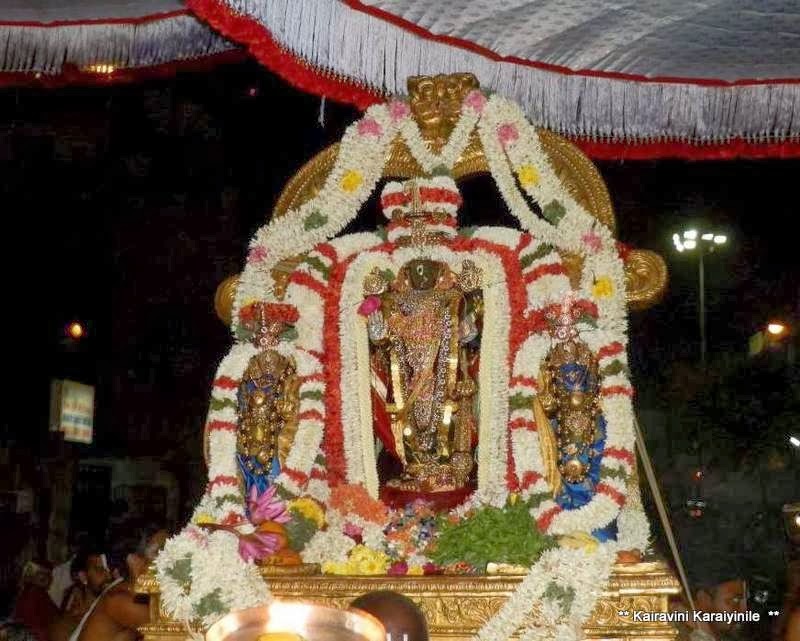 during Irapathu – on all evening purappadu – Sri Manavalamamunigal’s Upadesa Rathinamalai is rendered. 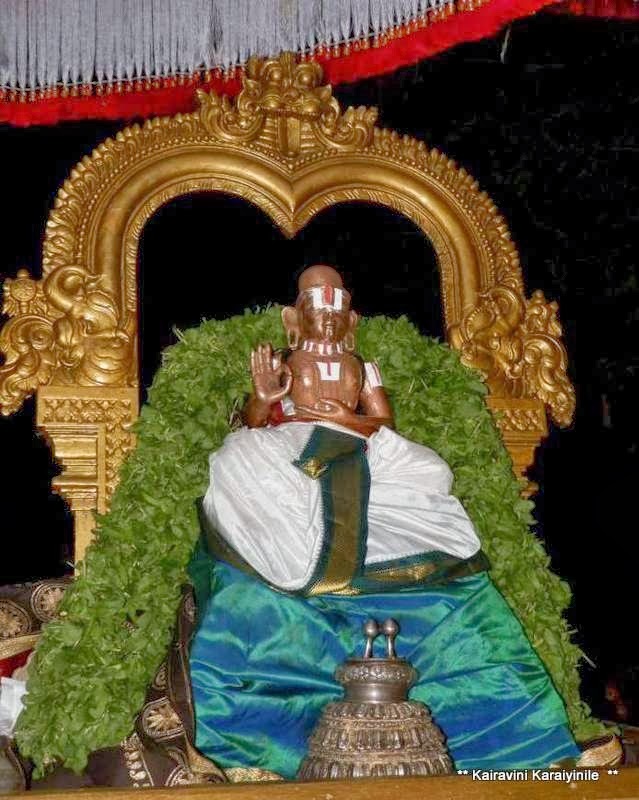 After the purappadu – Thiruvaimozhi is rendered – 100 songs (oru pathu every day). 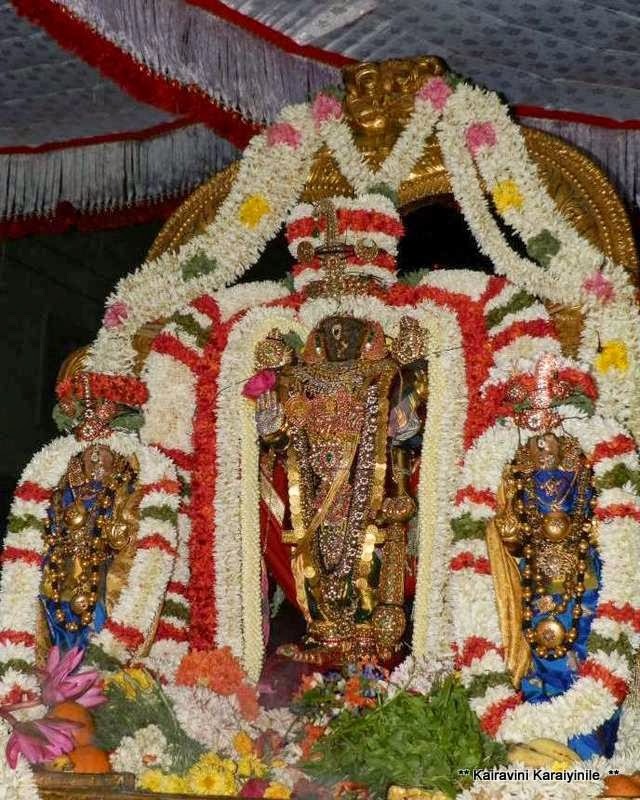 On all days of Irapathu – Perumal enters the ‘Paramapada vasal’ with Swami Nammalwar receiving Him at the gate. 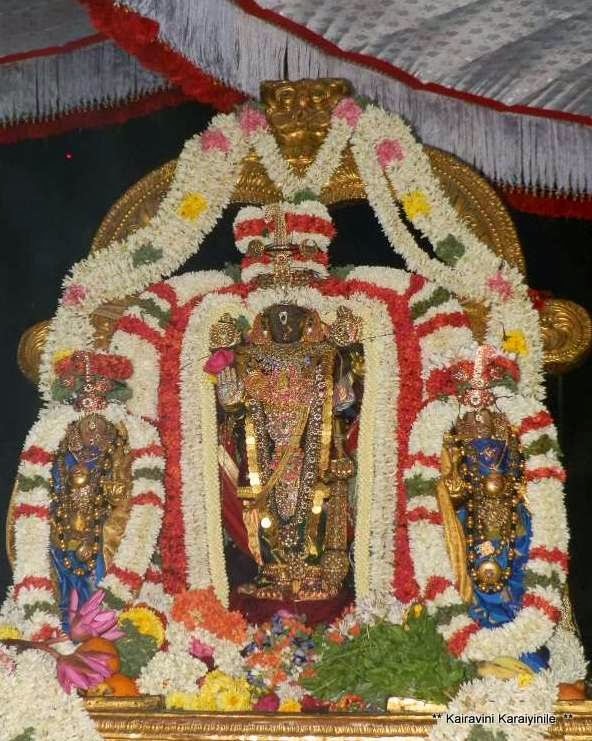 The Irapathu sarrumurai is very significant for the “Thiruvadi Thozhuthal”. More details of this on a later post. 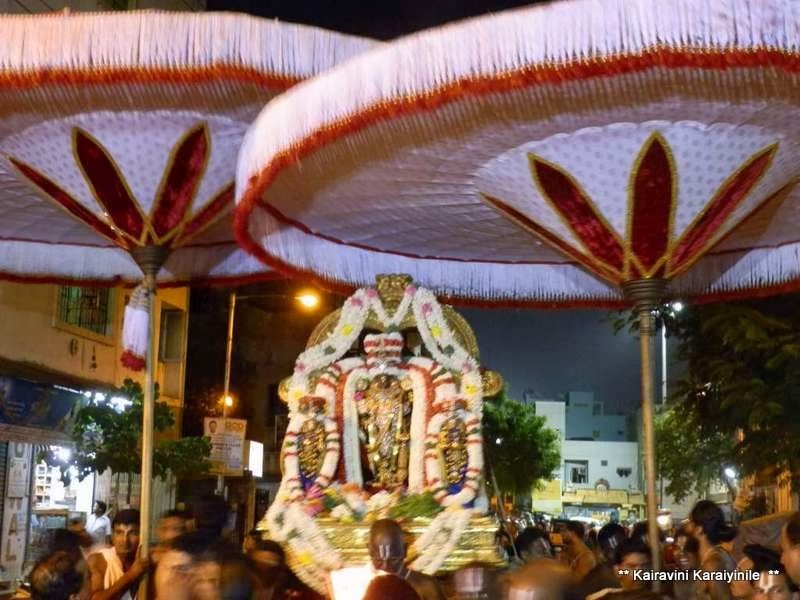 Here are some photos of day 10 Sarrumurai purappadu at Thiruvallikkeni. 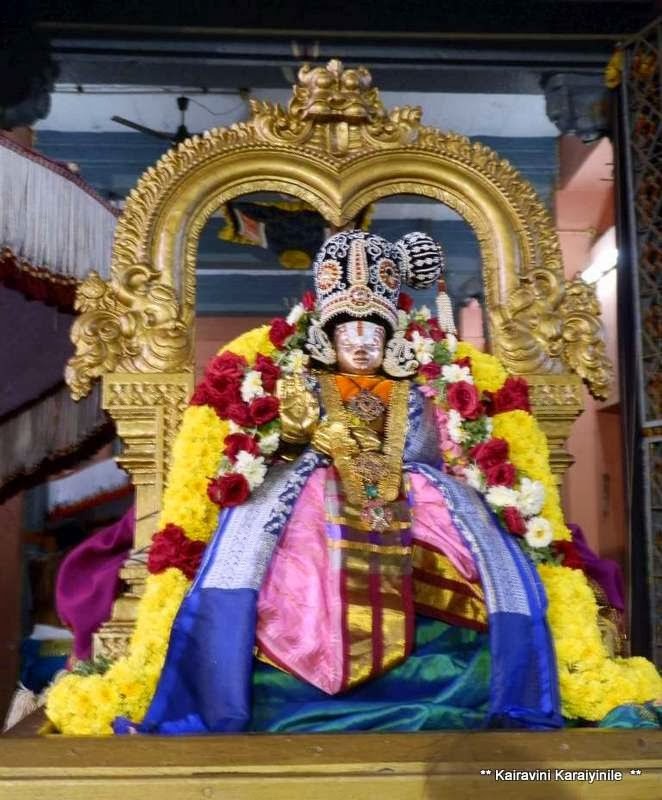 On all other days it was Swami Nammalwar with kavacham and today we are fortunate to have darshan of Swami Nammalwar’s thirumeni.